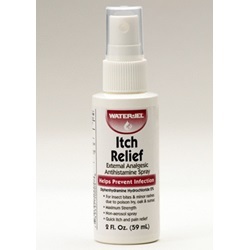 Water Jel Technologies - ITCH RELIEF SPRAY 2 OZ. External analgesic antihistamine 2 oz. 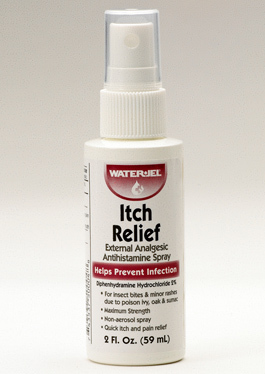 spray provides maximum strength itch relief. Especially suited for working outdoors. Contains active ingredient Diphenhydramine Hydrochloride 2% for discomfort and itch of insect bites and rashes due to poison ivy, poison oak and sumac.